The word Cilantro itself makes some people run away from food. Lately I found a site that is for people who hate Cilantro. I personally know people who hate Cilantro flavor in their food. To me, any North Indian food without a Cilantro garnish is incomplete. I always keep a bunch in my refrigerator and use them in Mexican and Indian dishes. Studies suggests that they might prevent cardiavascular damage. Also an excellent anti-fungal agent. 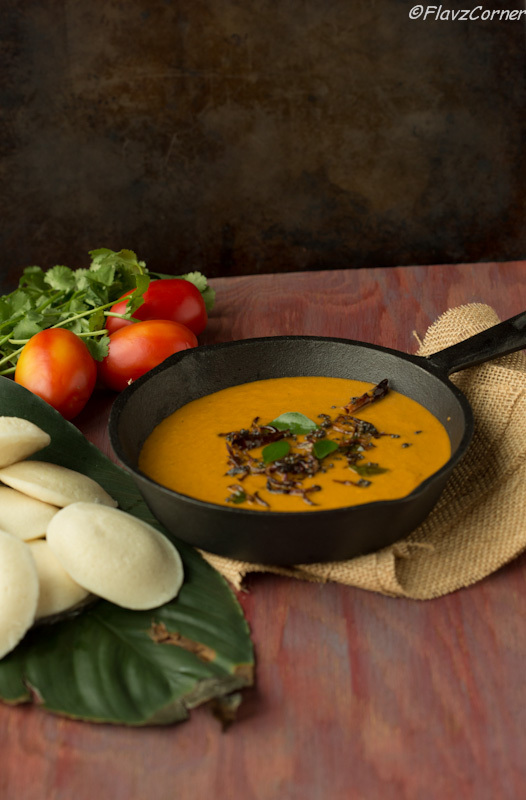 Couple of years ago I was introduced to this Cilantro Tomato Chutney with some idli (lentil dumplings ) when I visited by brother and family in NY. My SIL's mom makes this chutney. They were awesome when accompanied with Idli. 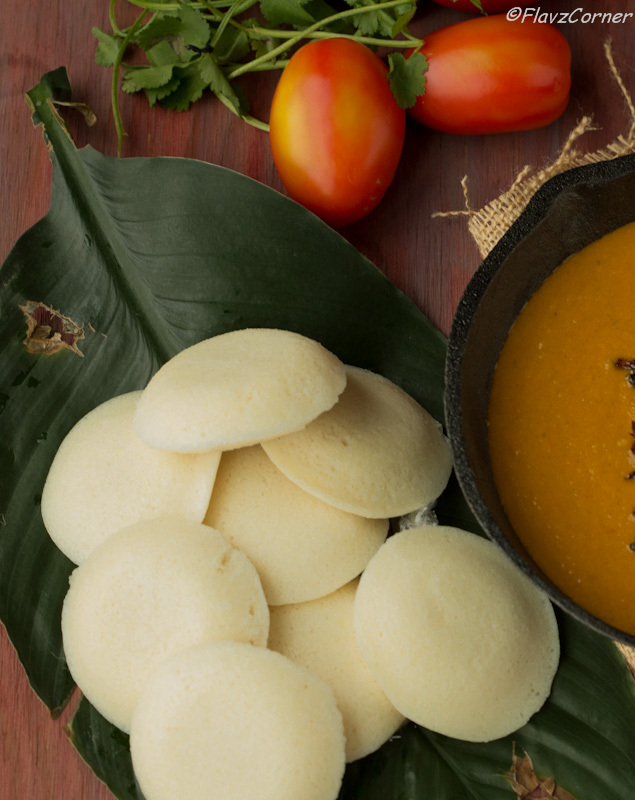 Since then I make this chutney with Sambar (spicy lentil vegetable soup) whenever I make dosa (lentil crepe) or Idli. This spicy chutney is low in fat because it doesn't use coconut as in regular Kerala Chutneys and they can be prepared very easily. Our son Nathan will complain if he doesn't see this chutney on the side with dosa or idli, so I always make sure to prepare this chutney along with Sambar. My personal preference is to combine it with Sambar and enjoy with crispy dosas. You can also enjoy some baked veggie bread rolls with Tomato Cilantro Chutney. Along with the recipe I would also like to share the tip to store Cilantro fresh in the refrigerator for 2 - 3 weeks. In a non stick pan, heat 1 tsp of oil and add ginger, onions, green chili and chopped tomato with salt and cook on medium heat till the onions become translucent. Now add the chopped Cilantro and cook it for 30 to 40 secs till the leaves are wilted. Turn off the stove and let it cool. Once the chutney mix is cool, blend them by adding 1 cup of water till the desired consistency of chutney is attained. Transfer the chutney to the same pan and cook till it boils for 1 minutes. In a separate small non-stick pan, heat 1 1/2 tsp of oil and splutter mustard seeds. Add sliced shallots and dry chili and cook till light golden brown. Turn off the stove and add the curry leaves. Be careful while adding the curry leaves, they splutter vigorously. 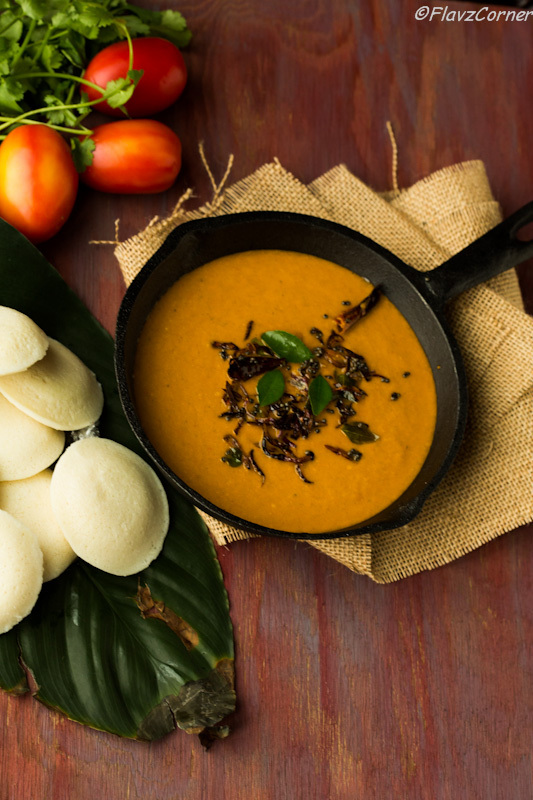 Garnish the chutney with the tadka and enjoy with idli or dosa. Wash the Cilantro thoroughly to remove any mud or sand while they are fresh bought from the store. Discard all the yellow leaves. The key is to not let them go into the refrigerator before they are ready to be stored. Spread them on a kitchen towel or paper towel on the kitchen counter. Let them air dry. I usually flip them again after an hour. Once all the moisture is gone, put them in big ziplog bag. Make sure that there is enough room for the leaves to breath. If too much leaves are squished into a small bag, they will perish fast. Store them in refrigerator and they will remain fresh for minimum 2 -3 weeks. Mine usually finishes within 2 weeks because I use them a lot in my dishes. This chutney can be stored in air tight container in refrigerator for 2 -3 days. Adjust the amount of green chili if you don't prefer the chutney to be spicy. wat a healthy breakfast recipe..chutney looks perfect..gorgeous clicks..
awesome super clicks, Shibi. the first one luks just as if in a painting. Yummy chutney and great clicks. Just beautiful Shibi. I really like cilantro - it's almost always in my refrigerator, too. This is a great looking chutney - the flavor looks wonderful. And the pictures are great. Good stuff - thanks. Your Cilantro Tomato Chutney is beautiful and lovely. I felt in love with chutney a few years ago (only, I know!). I can't wait to give this a try. :) I love that flavor combination.